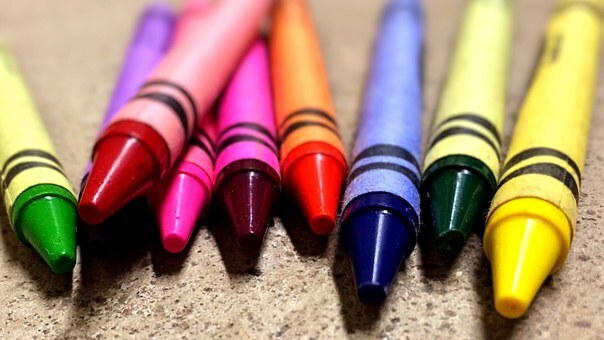 Can you imagine days without crayons? Ever since these artistic tools were introduced in 1903, children have used them creatively. This versatile art material has become a staple on school supply lists and kids look forward to a new box each year. Teachers are finding new ways to create lessons with crayons across the curriculum. Here are a few ideas to try in your classroom. Before I begin, teachers need to check out Crayola’s website, not only for products but for lesson plan ideas in their Education Section. Then for fun, read stories that use crayons as characters in fictional books. 7. Crayon Man to the Rescue! Your students are familiar with crayons for drawing and coloring tools, but crayons are fun to use in different ways. Here are a few to try. Have the kids look for smooth, flat rocks either on walks at home or with the class on a nature walk. With a toaster oven in the classroom, heat the rocks for about 15-20 minutes at 200 degrees. Carefully remove the rocks with oven mitts. Invite the child to paint wax on the hot stone with the tips of crayons. Colors will mix and create an ombre design. This craft is best for older children who can be mindful of the hot stones and use extreme caution not to burn hands and fingers. Let the stones dry thoroughly. These can be used as paperweights for gifts or hidden for others to find in parks or towns who participate in the “painted rocks around town event". This colorful craft is fun to make and the children will have a spinning top toy. Your students can observe physics and motion. Discuss how this top spins. Cut a circle from heavy cardboard. Mine is about 5 inches in diameter. Also cut the same size circle from white cardstock or heavy-duty construction paper. Engage the kids in coloring. 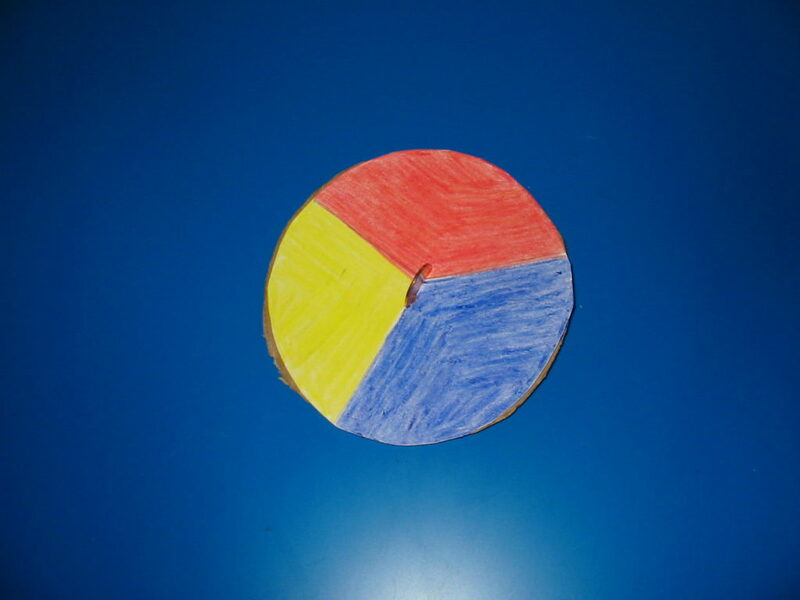 Let them create a color wheel or spiral design on the white paper. Glue this onto the cardboard circle. Make a small slit and insert a penny. Make sure the penny is secure inside the slit, so make the slit tiny. Spin the top on the floor and observe how the colors blend or the spirals circulate. For more information about this craft, click here. Provide each child with a half-sheet of fine sandpaper. Instruct them to draw a picture or design of their choice on the sandpaper. Make sure they press hard with the crayons. The more saturated the colors, the better the results. 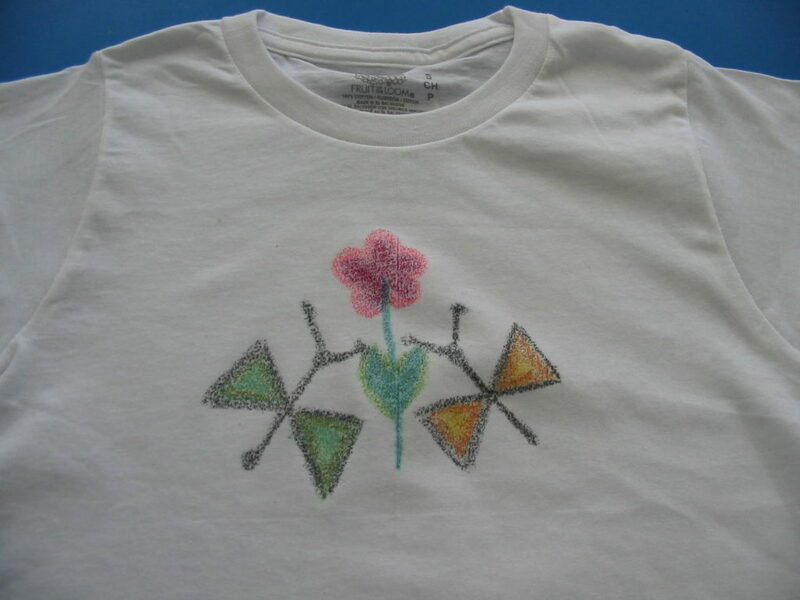 An adult can now transfer the sandpaper design to a clean, white tee shirt. Place the sandpaper face down onto the shirt. Cover the sandpaper with a sheet of parchment paper first to protect the iron from any crayon wax. Iron the parchment/sandpaper to the shirt using a dry, cotton setting. Carefully lift the sandpaper to see a transfer of the picture onto the shirt. Crayons can be used in a variety of math activities. Have the kids create patterns using colors (or color families) of crayons. Use the AABAAB (red, red, blue, red, red, blue) pattern or ABBCABBC or dream up some new ideas. Crayons can be used as a tool for measurement. Lay crayons end-to-end. How many crayons make a foot (12 inches) or a yard (36 inches)? Check your answers by lining the crayons along side of a yardstick. Think about measuring other things in the classroom (or home) with crayons. Create math problems (addition or subtraction) using crayons, such as Susie had 16 crayons. John gave her a gold one and Caryn gave Susie her silver one so she could create a metallic picture. So, how many crayons does Susie have in total? These curriculum ideas are only a few of the many lessons with crayons you can use in the classroom. Check out these ideas on Bright Hub Education.